Shares surged before regular trading in New York July 25 after the machinery maker boosted its 2017 sales and earnings outlook. The Peoria, Illinois-based company projected 2017 revenue in the range of $42 billion to $44 billion. That’s ahead of analysts’ estimates and would mark the first increase in annual sales since 2012. Second-quarter sales and earnings topped estimates. Sales of the company’s signature yellow machines are being driven by construction in China, while demand for after-market parts is accelerating in mining as older equipment wears out. Caterpillar said in May that it was feeling a “lot better” about the global economy. The company’s outlook suggests demand in construction, mining and energy industries is gathering steam even as a rally in some commodity prices has faltered. Caterpillar rose 4.8% before the start of regular trading in New York. The stock climbed about 16% in the second quarter, the second-best performance in the Dow Jones Industrial Average. The company on July 25 reported second-quarter earnings of $1.49 a share, beating the $1.25 average of 15 analysts’ estimates compiled by Bloomberg. Sales in the quarter were $11.33 billion, topping the $10.89 billion estimate. On July 24, Caterpillar reported that machine sales rose 7% in the three months through June, buoyed by strong demand in Asia Pacific. Sales climbed as China’s economy expanded in the first quarter at a faster-than-expected pace amid an acceleration in industrial output. The Asian nation’s fixed-asset investment climbed 8.6% in the first half of the year, government data showed. “It largely has to do with their positioning in Asia and the strength in that market,” Gordon Johnson, managing director at Axiom Capital Management in New York, said in a telephone interview. 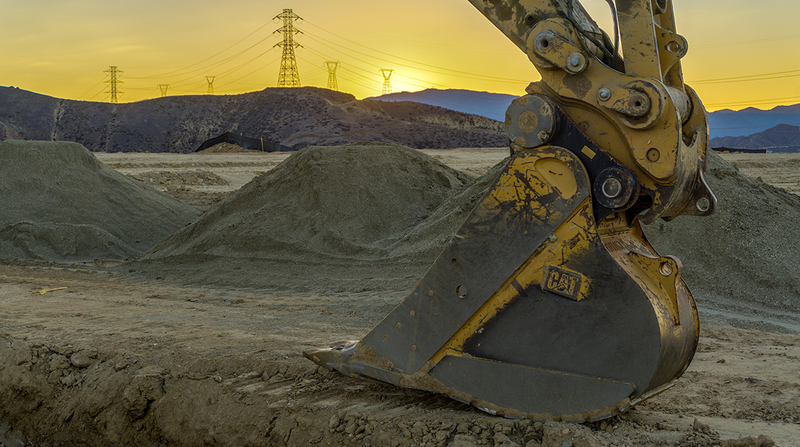 In June, the equipment maker raised its quarterly dividend by one cent to 78 cents a share, citing an improving cost structure, strong balance sheet and solid cash flow. The company said last month it’s starting to see an end to dealer-inventory reductions as mining fleets age and miners forecast increased capital spending. Equipment is being utilized at “fairly high” rates, and stock levels of after-market parts are being replenished, resources industries head Denise Johnson said in June.